The projected construction cost of the project is $75 million. The operating costs of the facility for the first 10 years (2019-2029) is estimated at $184.8 million. A conceptual plan of the new Marist Health Quest School of Medicine. 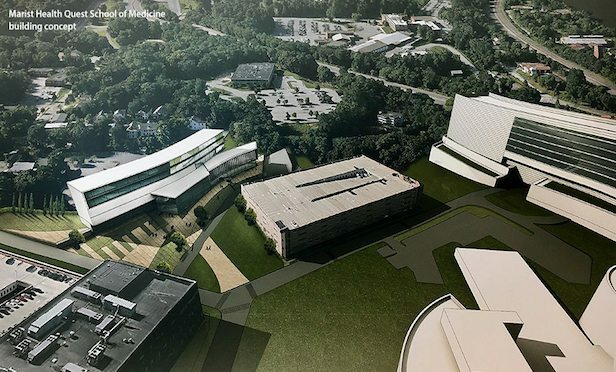 POUGHKEEPSIE, NY—Marist College and healthcare services provider Health Quest announced on Wednesday plans to build a new medical school in Dutchess County.